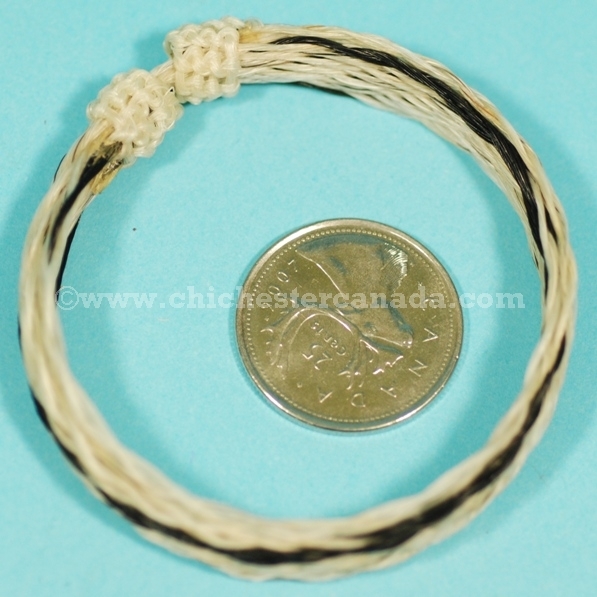 Left: Beige Bracelet, see close up and a comparison with a quarter. 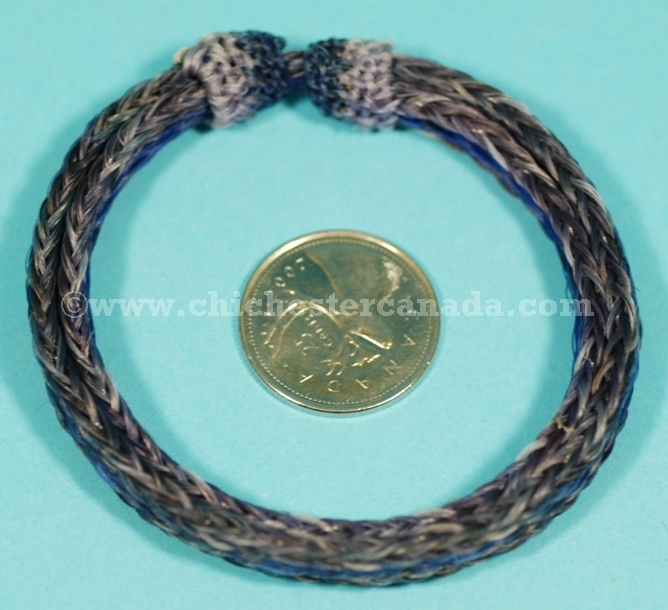 Right: Purple Bracelet, see close up and a comparison with a quarter. The horse hair bracelets are hand made in Cotacachi, Ecuador. 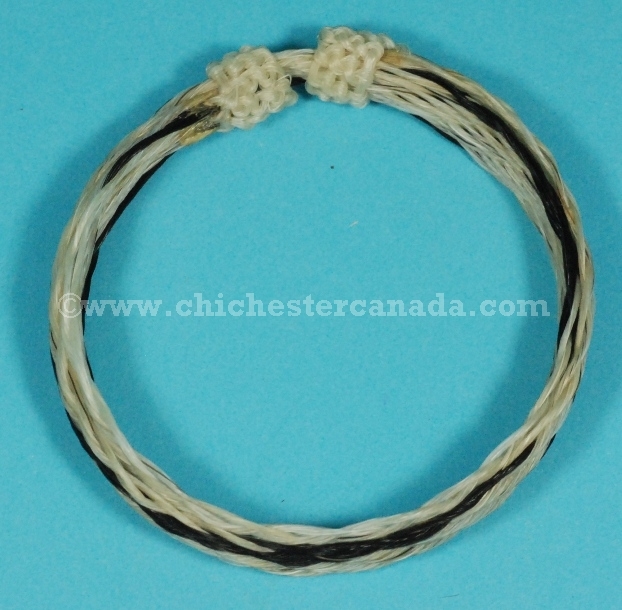 The horse hair bracelets are adjustable. 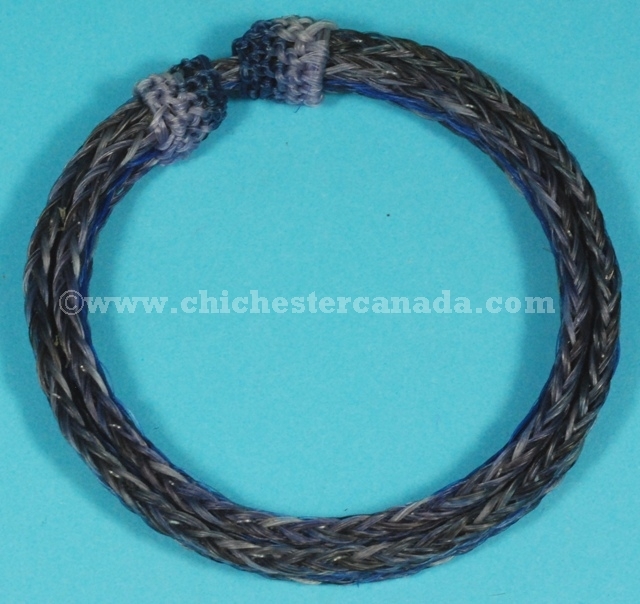 The smallest interior circumference is 19 cm and 22.75 cm, the widest interior circumference is 31.75 cm and 36.75 cm, and each weighs approximately 0.006 kg. Horses are not endangered and are not subject to CITES controls.